I am holding a series of workshops across South Africa covering all you need to know as a birth professional to effectively manage cases of Shoulder Dystocia, beginning in April 2015. Shoulder Dystocia describes cases during birth where a baby requires an assisted manoeuvre in order to allow the baby’s shoulders to pass through the birth canal. Understanding the specific causes of Shoulder Dystocia and learning how to assist a baby caught in this predicament can dramatically reduce the chances of danger to both mother and child and help to bring the baby safely into the world. These workshops are scheduled to start in April 2015, covering Anatomy, Physiology, Neonatal Transitional Physiology, Techniques and Skills for assisting with shoulder dystocia and Helping Babies Breathe. If you cannot make the April workshops, a future series will begin in August 2015. Lunch is not included. There are several restaurants close by or lunch can be ordered collectively and delivered to the Centre. Alternately please bring a packed lunch to share. Maximum number of participants is 15 only. Please complete the form below, checking the locations/dates of the workshop sessions you would like to attend. I will then be in touch to arrange payment. Are the shoulder dystocia teachings in line with the ALSO guideline or the PROMPT (RCOG) guideline? Thank you for asking. 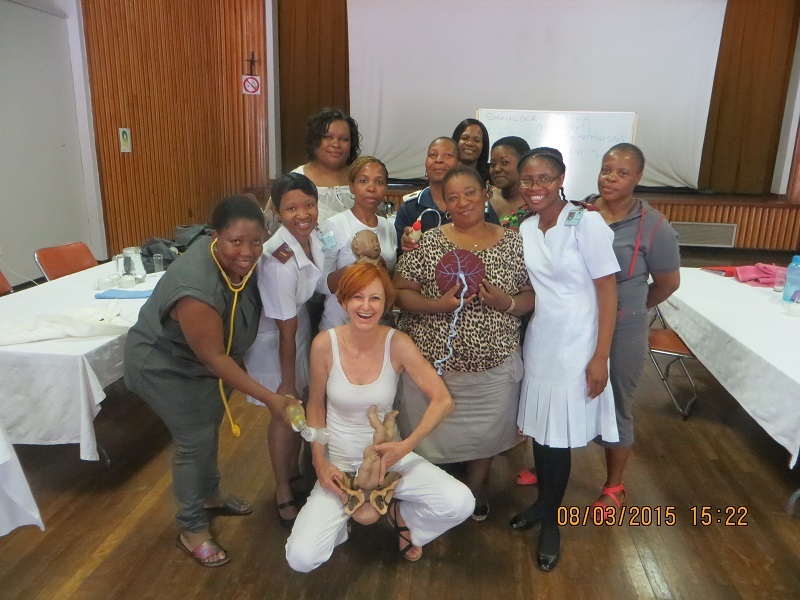 The workshops are in alignment with the ESMOE (Essential Steps in the Management of Obstetrical Emergencies) training in South Africa (http://www.esmoe.co.za/), but they add crucial skills that work well in any situation, attending hospital births or homebirths. The Helping Babies Breathe Program is accredited by the American Academy of Paediatrics and is a wonderful tool in any practice and can be learnt by lay people as well.